Our final stop in Arizona took us to Kingman, in the northwestern part of the state, another town along Historic Route 66. 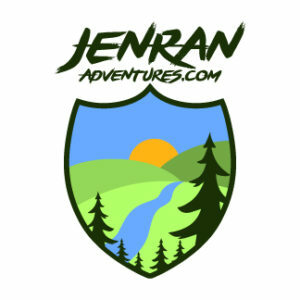 We were expecting a small town — since so many towns along the old highway are small or practically ghost towns — but Kingman is a city, a growing city, with about 26,000 people (45,000 when including a few surrounding communities). 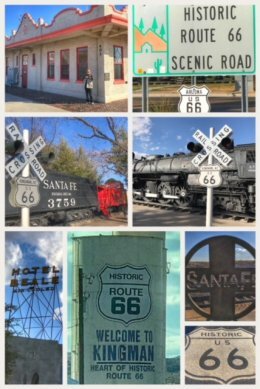 The city celebrates both its train history (Santa Fe Railway) and its deep roots to Route 66. While visiting Kingman, do try and check out the Powerhouse Visitors Center, Mohave Museum of History and Arts, Historic Route 66 Association, and Kingman Railroad Museum. If you read our previous blog post about Arizona Wines, you know that we found Kingman’s small (but growing) wine industry the best in the state. Do check out Cella Cellars and Stetson Winery! But beyond the wine, trains, and Route 66, we found something special about Kingman and all the amazing mountain views. The city sits on the eastern edge of the Mojave Desert, but is located in a cold, semi-arid climate — which makes it a great area for growing grapes. A deep aquifer provides crystal clear drinking water. We almost placed Kingman as the first city on our list of possible new headquarters for EmpoweringSites.com, but concern about how fast the aquifer is being emptied (a combination of increased wells and usage, as well as climate change/drought) knocked it off the list… even though we loved visiting. 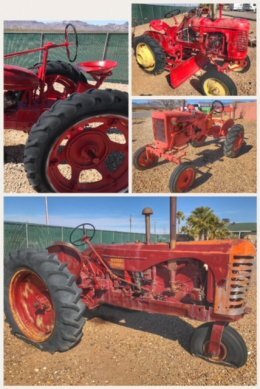 Finally, while visiting Kingman, we stayed in a fun RV park in Golden Valley that was filled with antique tractors and other farm equipment… what is not to love? Excited to finally be moving to our next state… Nevada.